25th March is International Day of Waffles. 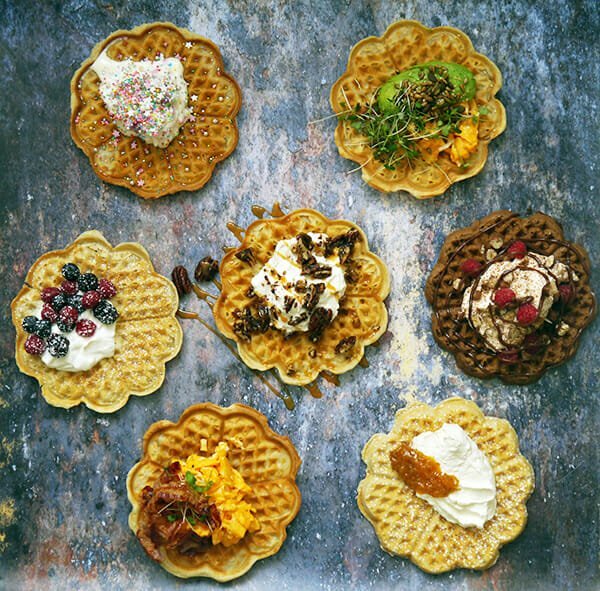 This day is very celebrated in Scandinavia, but no places more than in Sweden where it is seen as a great excuse to have more waffles than normal! It is also celebrated in Churches, as it is Our Lady’s Day – in Swedish, this is called Vårfrudagen – and this apparently got misunderstood so it became Våffledagen (Waffle Day) – an easy mistake to make, but now we get to celebrate both on the same day. If you have a different waffle iron, by all means, you can use this too but your yield and cooking time will be slightly different, so use common sense. 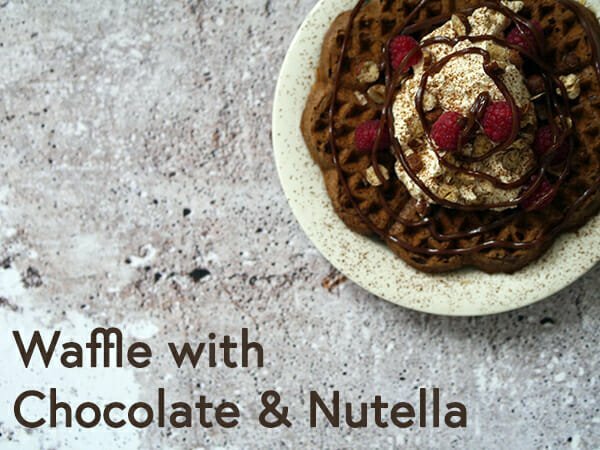 We’re making waffles this Friday, Saturday and Sunday at the café (we usually do anyway, but this weekend we’re adding specials, too!). We thought we’d also give you some handy hints and recipes to make some as home as well – using the same base recipe, but getting lots of different, exciting results. There are hundred of different waffle recipes. Literally. This one is from Bronte’s book Fika & Hygge and comes via her Mother-in-Law Eva who makes these when they are all together in the cottage in the North of Sweden, skiing over the winter months. 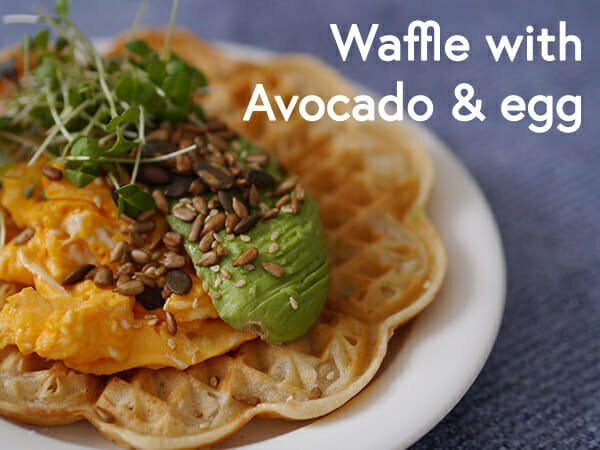 It is a simple recipe – containing no sugar or egg – and you get wonderfully crispy waffles. We warned, though, the waffles need to be eaten straight out of the waffle iron or they go soggy. One recipe makes around 7-8 waffles. We usually double it! Mix ingredients together to form a smooth batter. Turn your waffle iron on and make your waffles. Depending on your waffle iron you may need to brush the waffle iron with a bit of butter (but most these days are completely non stick). Here comes our different toppings…. 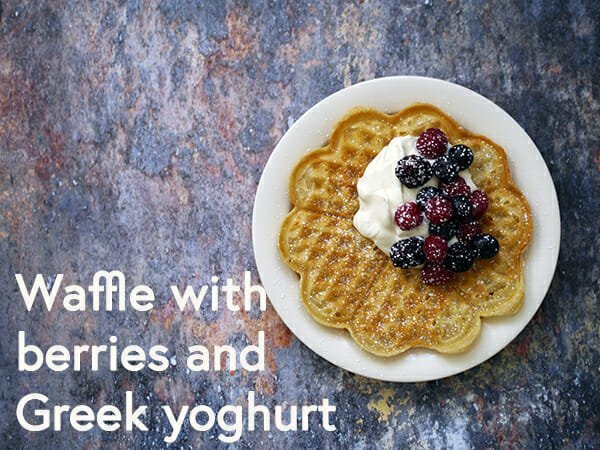 Top your waffles with fresh berries and a good dollop of thick set Greek yoghurt. If you want to make it extra indulgent, add vanilla bean to the yoghurt and a bit of icing sugar to sweeten. Vanilla syrup optional. 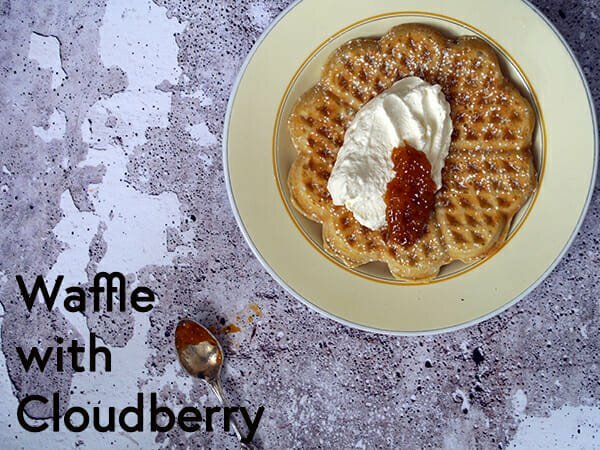 This is the waffle served everywhere in the ski reports and mountains of Sweden: Whip some cream, add a bit of vanilla to it… And serve the waffle hot, with a dollop of whipped cream and a good spoonful of cloudberry jam. Cloudberry jam is not cheap – but it is worth it. Absolutely perfect for waffles. If you can’t get cloudberry, use any other jam. Add a dollop of whipped cream – or ice cream – and top with nuts and salted caramel sauce. This is the Norwegian favourite – a must to try when in Norway. Brown Cheese is a wonderful goats cheese that has a caramel flavour (yes, we know how this sounds, but it works). 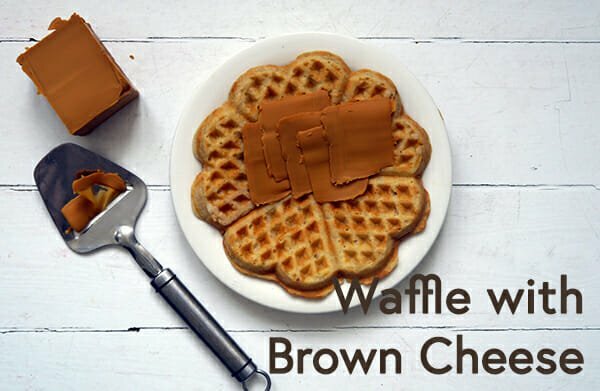 Simple does it: Slices of brown cheese on warm waffles and you are almost Norwegian. Ahhh, perfect veggie breakfast with a twist: Add half an avocado, some beautifully scrambled egg, micro herbs and seeds and you’re set for the day. Classic combo – although not often in Scandianvia, but it is so good we had to add it: Crispy fried pancetta, scrambled egg and a drizzle of maple syrup. We’ll be serving this in the café this weekend in the mornings. Why not make your waffle colourful? 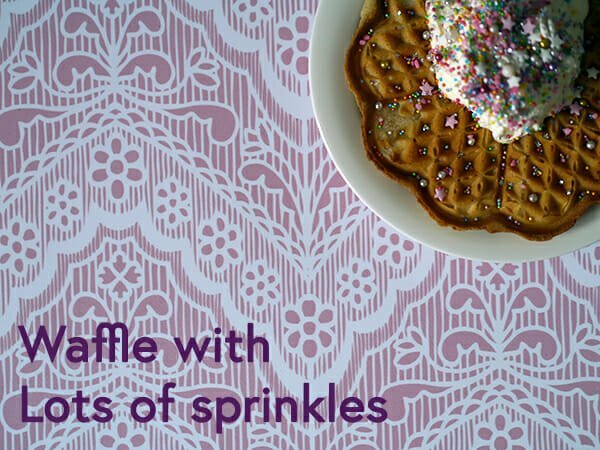 You can either add colour to the mixture to make rainbow waffles (you’ll need several piping bags to do this as each colour has to be piped on directly to the waffle iron. We recommend using gel colour, not liquid food colour). Classic combo – all you have to do is replace equal amount of flour in your recipe for cocoa powder. We usually do 3-5 tbsp depending on the cocoa quality. Cook as normal top with whipped cream and warmed Nutella sauce – and toasted hazelnuts and fresh raspberries. Chopped chocolate Maramou pieces optional, but delicious. No photo of this one because we eat it before we could shoot it, sorry. 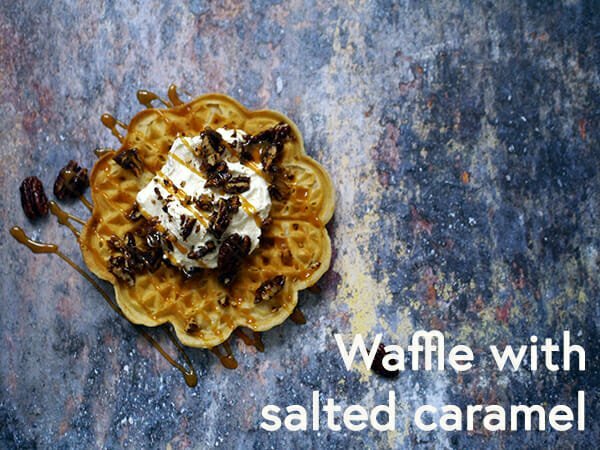 There’s still time to enjoy a bit of semla before they go (our Lent buns), so make your waffles as normal but add ground cardamom to the mixture. Top with a sauce of grated marzipan, a dash of milk and/or custard and then whipped vanilla cream. And voila, you have waffles and semlor in one. How do you prefer your waffle? Do you have a best-ever recipe you want to share? Leave comment below and share with the world. 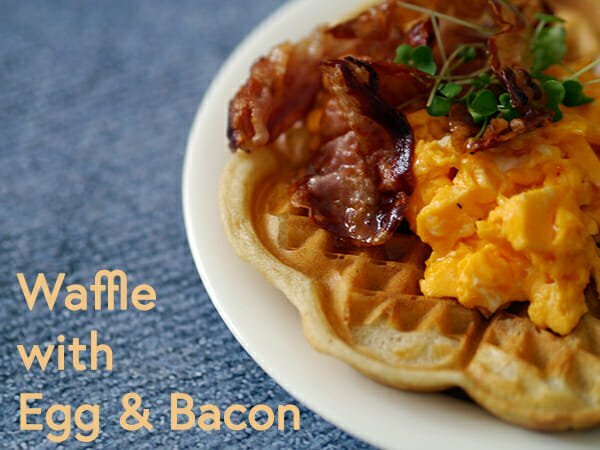 See you at the Café in London this weekend 23rd, 24th and 25th March 2018 for an obscene amount of waffles!